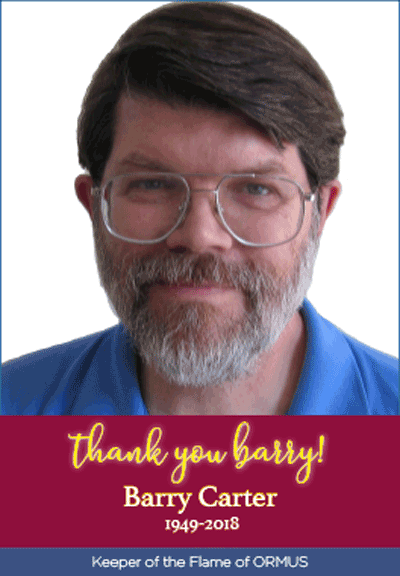 Click on the link above or Barrys Photo to go directly to the download link for Barry Carter Files. Click on the zipper. You cannot preview it. It can only be downloaded. It is quite lengthy and will take about 30-60 minutes to download. After you download it you must extract the file with a .rar file unzipper. If you don't have this tool you will need to find one. I used this free one and it works good. Click here to download. When you get it unzipped, at first it looks like there is not much there. But you will find many many files within files. Open all of them. Many of the links are broken or expired but there a thousands of pages of Ormus information gathered by Barry. Another memeber of the Ormus community posted the initial link to the file. I can only tell you that he posted it is the latest copy of Barry's web site. I discovered it was packed full of spam and viruses. I cleaned and washed the whole thing. Enjoy.